The evening began with a warm welcome from Liana Miller, Founder & CEO at The Engaged Group who introduced Patrick Lemoine, President of Pulmuone Foods USA. 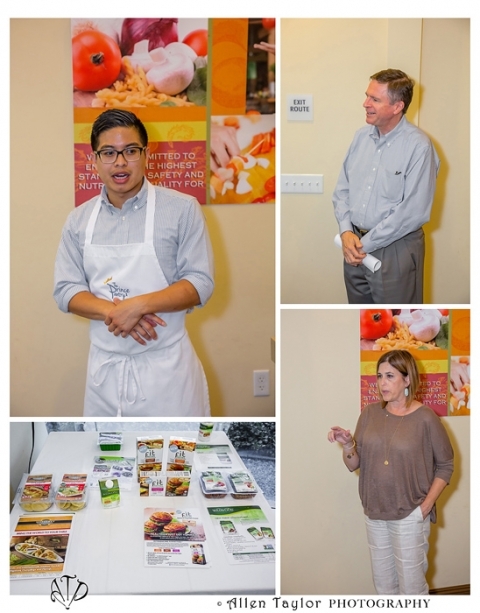 Mr. Lemoine shared Pulmuone Food’s history and their philosophy of providing authentic wholesome foods featuring the highest quality, all natural ingredients. He then introduced the chef for the evening, Nathaniel Nguyen. Nathaniel is the Executive Chef at The Prince & Pantry and is known for his creative flavor pairings. 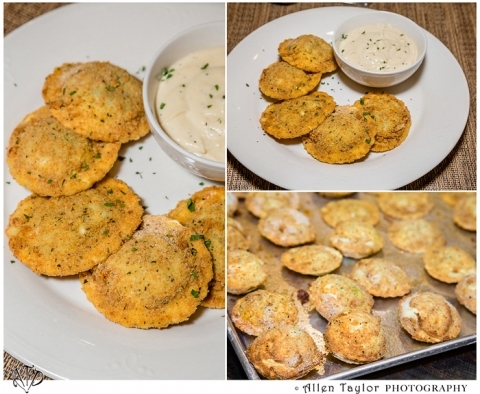 For the first entree, Chef Nguyen demonstrated how easy it was to prepare and cook the Crispy Baked Ravioli with Onederful White Cream Dipping Sauce and Aioli Dipping Sauce. (Featuring Monterey Gourmet Foods Spinach & Cheese Ravioli, Wildwood Onederful Tofu). So easy and yet full of flavor. The second item was also pasta, but served and prepared in a different and equally delicious way. The Five Cheese Ravioli with Meatless Bolognese (Featuring Monterey Gourmet Foods Five Cheese Ravioli, Wildwood Meatless Crumbles) were simply delicious. I loved the cheese and shockingly for me, a guy who loves meat, the sauce was wonderfully tasty and paired very well with the ravioli. Next was a detailed and informative demonstration on preparing Spicy Chicken Empanades (Featuring FitPatties-Tangy Chipotle). 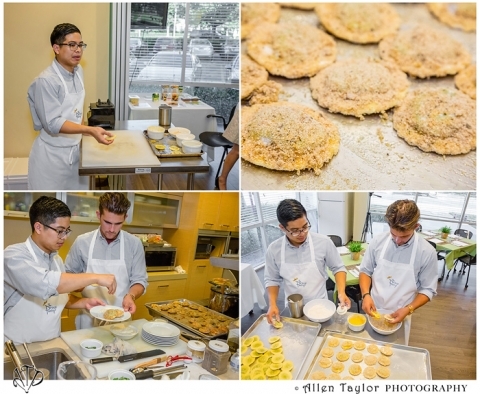 Chef Nguyen showed how he took one product and creatively used it in a new way. By breaking down the FitPatties (a blend of all natural chicken and vegetable protein) to a ground, it now became the perfect filling. Using pie dough as the shell, he quickly filled them with the meat, vegetables, seasoning, and folded each. Once again I was surprised at how much I enjoyed these. Throughout the evening, I was a little skeptical (you would think I would learn faster) about each item, but time and again was pleasantly surprised every time. The next item demonstrated was Lemon Custard (featuring Wildwood Onederful Tofu). A wonderful light and tasty treat topped off with fresh strawberries. Last and not least in any way was the Banana Cream Pie Milkshake (Featuring Wildwood Onederful Tofu). Mmm bananas,… milkshake… words I love, but tofu (as much as I have had it in my adult life) still makes me pause. Some habits can be hard to break. And so, again, foolishly I was a bit hesitant. However, one sip and I was sold-why yes more please. A delightful and refreshing drink to end the meal. A huge thank you to everyone at Pulmuone for having me and others as their guests for this unique and fun event. With specials thanks to Chef Nathaniel Nguyen (everything tasted wonderful). I had a blast! Want to try these yummy recipes yourself? Pulmuone has graciously provided 3 gift packages valued at $25 each for 3 lucky readers. So follow the easy instructions below and good luck! The food looks so delicious…and your photos take it up 10 notches! I just had breakfast…you’d think I wouldn’t be hungry already.